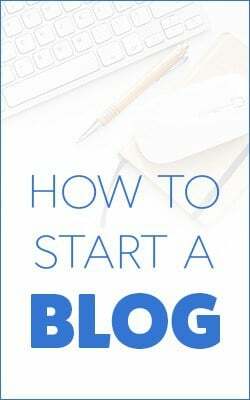 Blogging and other online income sources aren’t the easy money you hear about on other blogs but you can easily make thousands a month and anyone can do it. In fact, I’ve used just four blogging income sources to make $6,000 a month over the last year. Using the steps I’m going to share in each, I was able to create that monthly income in less than three years. And it’s not just me. 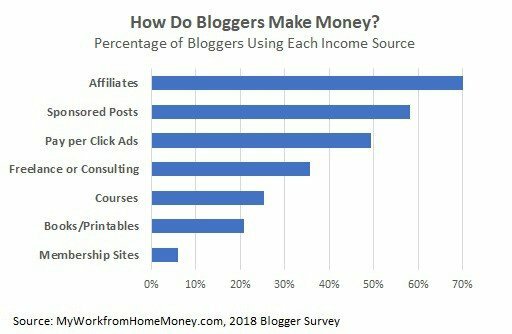 I’ve used responses from our 2018 blogger survey to find the best online income sources bloggers are using and how much you can expect to make. We had hundreds of bloggers and online entrepreneurs respond to the survey, giving us some amazing detail into how it’s done. How to grow a website, how much it costs, how long it takes and how to make money! I’m going to focus on the money part for this post. Because that’s what most of us are here for right, to make money? Ok so maybe there’s a couple virgin souls out there that just want to spread their message…but it’s nice to make a little money right? I love the face-to-face interaction and the community we’re building with the new YouTube channel. This is the future of beating your debt, making more money and making your money work for you. This is the financial future you deserve! Join the Let’s Talk Money community on YouTube, it’s free and you’ll never miss a video. We’ll be looking at four online income sources in this post; self-publishing, affiliates, sponsored posts and courses. These are the top money-makers for most bloggers and I average just under six grand a month from these alone. I’ll be starting with the easier ones but the last couple make big money so make sure you stick around to get the steps to put those to work. In fact, affiliate ads are the most popular income source for bloggers, followed by sponsored posts. While fewer bloggers are using self-publishing and courses, they are definitely a strong source of income and a better source of passive income. These are also just four of the nine income sources I talk about in Make Money Blogging, an Amazon best-seller in the blogging and small business auction categories. The book is a step-by-step into getting started and making money in nine sources of online income from those immediate payouts in pay-per-click ads to making six-figures with seminars and workshops. But let’s get started with affiliates, these are a partnership you have with companies. You talk about their product and put a link on your blog. If someone clicks on the link and then signs up, you get a commission which is usually anywhere between $25 to $150 for each sign-up. Affiliate marketing is such a big part of making money online and I know people with entire sites dedicated to just affiliates. You can make a lot of money here so I want to give you three keys that will make you successful. First, focus on just a few companies that are directly related to your topic and solve an important problem for your readers. Check out other blogs in your topic to see what products they support for ideas. The majority of most bloggers’ affiliate income comes from a very few partnerships so find which work best for you and don’t waste your time trying to promote dozens. In fact, I made a little over $3,700 on 14 affiliates in January but just five of them accounted for 80% of my affiliate income. The best way to promote affiliates is through reviews, lists and interviews. Readers aren’t trusting or receptive to an affiliate link just placed somewhere in your content. So I see a lot of bloggers just trying to mention an affiliate somewhere, in a regular post. That can make you money and you should try to monetize every post but it’s not where you’re going to make most of your affiliate income. Readers want to see that you use the product or get first-hand answers from someone who does. Do at least one review and an interview with another user of the affiliate for each partnership.Another type of post that works are massive comparison posts so put together a list of say 7 to 10 products, you might have affiliate links for some while others you’ll just have to link to the main webpage for the product. Then do a solid comparison that is useful to your readers. Finally here is you need to manage your affiliate strategy regularly by tracking how much you’re making on each and trying out new affiliates that might be a better fit. Affiliates drop their programs or change the rules all the time, you need to roll with the punches when this happens and have another product ready to fill in the gap. While most of your income will come from just a few affiliates, you always want to be finding ones that serve your community to replace the ones that drop their program. I’ve averaged $3,500 a month from affiliates in 2017 so just a little under half of my monthly income. Our next way to make money blogging is a big one, not because it makes the most money but because I feel like it’s still like a hidden secret. I’m talking about self-publishing and yeah it’s not totally a secret but you’d be amazed at how few actually take advantage of the income source. It’s my favorite income idea and almost completely passive. I love self-publishing. I’ve published ten books since March 2015 and make about $2,000 a month from the source. Seriously, anyone can publish a book. 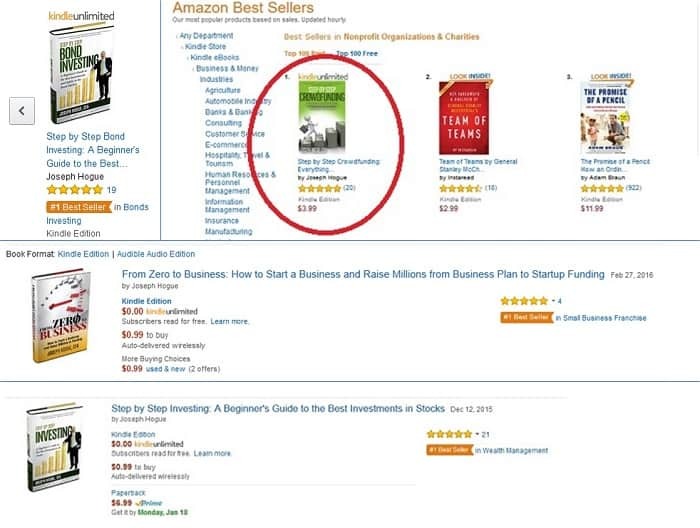 It is so easy and the best thing is that once you launch it, Amazon takes care of the rest. 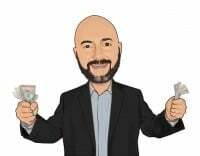 I spend about $200 a month advertising on Amazon and sell about 60 copies a month through my own blogs but sell more than 500 more copies just on Amazon without having to do anything else. From the blogger survey, it looks like only about one-in-five bloggers are using self-publishing so get in before it gets harder to make money. I’m going to share with you my proven strategy for making self-publishing as easy as possible, for making it a natural fit for bloggers. Ok, first you pick a topic within your blog niche. Something you can write about that solves a problem for your readers. Think about this in terms of a transformation, how it is going to change a reader. Readers don’t buy books, they buy transformations and entertainment. Next work backwards from the transformation to all the steps necessary to get someone there, these are going to be the chapters in your book. You can look through other books on Amazon to see what people are writing about. You can also look at the reader reviews on other books to see what readers liked and what they wanted more of. So you’ve got your list of 8 to 10 chapters, now you’re going to outline each and you’ll write one a week as a blog post. We’re talking a really solid blog post of 3,000 words or more. You see, that’s going to keep you on schedule to finish your book. Most bloggers set out to write a book but then can’t fit it in their schedule. The forget about it for a few weeks and it never gets done. Publish your chapters as blog posts and you’ll have a complete book in a few months. Once all the chapters are done, put them all together, revise it, maybe add a little and format it for publishing. 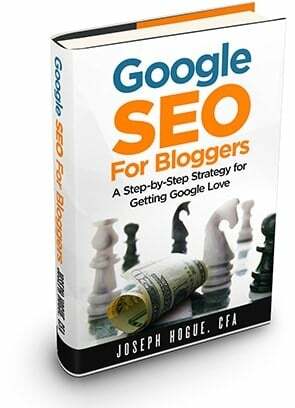 The best part about this strategy, besides a guaranteed way to keep you on schedule is that each of these blog posts you wrote are going to start getting traffic from Google. This is going to be highly targeted traffic, people looking specifically for what’s in your book. You go back into each of these posts, add a paragraph about how great the book is and how readers can get the full process for this transformation and you add a link to your Amazon book page. Boom, instant marketing for your book. Really, self-publishing is an amazing income source and I want each one of you to commit to at least one book in the next year. Sponsored posts are the second-most popular income source for bloggers, according to the survey. This is where someone pays you to post an article on your site with a link back to theirs. They usually write the article or may pay you extra to do it. You should charge at least $100 to put these on your blog, even if it’s a new blog with little traffic. As you grow traffic, you raise your price. One blogger on the survey reported charging $3,000 for a sponsored post, and she gets it because it’s a huge blog. Seriously folks. You’re going to get lots of emails asking to put a link on your site for $25 or $50. It’s not only not worth your time but it degrades your site with all the spammy links. Set a minimum you’ll accept for a link or a post and stick with that. Demand well-written articles that fit your topic. You’ll get a lot of spam emails from sponsors wanting to pay $25 and provide you with something that was obviously written by someone for $5 – those kinds of posts are going to ruin your blog. If a sponsor is willing to pay you $150 to post on your blog, they should be willing to spend at least $50 for a decent article. Limit your sponsored posts to no more than one for every three or four actual articles on your site, maybe even less. Readers are going to get tired of reading articles that are clearly just commercials for a topic if you have too many on your blog. You may not make as much money but you’ll grow your readership and will make more money over the long-run with other sources. Offer only one-year links for sponsored posts. Keep track of your posts and email sponsors each year offering to renew their post. Delete the post if they don’t renew. This will give you a list of sponsors to which you can market and you can continuously increase prices as the blog grows. I haven’t done as many sponsored posts on my blogs, averaging about a grand a month from a few posts. I prefer self-publishing and am getting into courses which are much more passive income sources and pay better as well. So courses, these are just a different format of your self-publishing strategy, right? You can make $3 a copy selling books or you can make $200 for each sale of your video course. Of course, it takes more work to develop a video course and you have to do a little more to promote it but yeah, $200 versus $3 so you decide. I’m actually just starting to put together my own courses as I film this so I’m right there with you. Here are a few things I’ve learned about making money with courses. Just like self-publishing, anyone can create a course. Check out some of the courses on Udemy and you’ll see there is a course for everything. Spend some time learning how to do quality video and audio but don’t get analysis paralysis. That analysis paralysis is when you spend forever learning about something without ever doing it or spend so much time trying to make everything perfect that you never get the work done. Set a specific timeline for your course, how long to write the script, how long to plan, how long to film and how long to market and launch. Plan on charging more than you think you should, then double it. Don’t waste your time developing a lame course for $35, take your time to make something that is really going to transform your customers’ lives and charge what that’s worth. I’d recommend at least $99 for the most basic, shorter courses but $200 and above for most. You don’t need a professional studio but you do need a few lights and good audio equipment. You can get a Blue Yeti microphone for $50 and a set of three studio lights for less than $100. For my videos, I use a Canon T6 Rebel which was only like $550 with all the accessories, I use two big studio lights in front of me and one smaller one behind me to put some light on the back wall. I use a Zoom H4N digital recorder with a lapel mic for better audio and that’s it.The entire setup cost less than a thousand dollars and makes professional looking video. For your videos filmed at the computer you can use the Logitech C920 which is a great high-definition webcam. 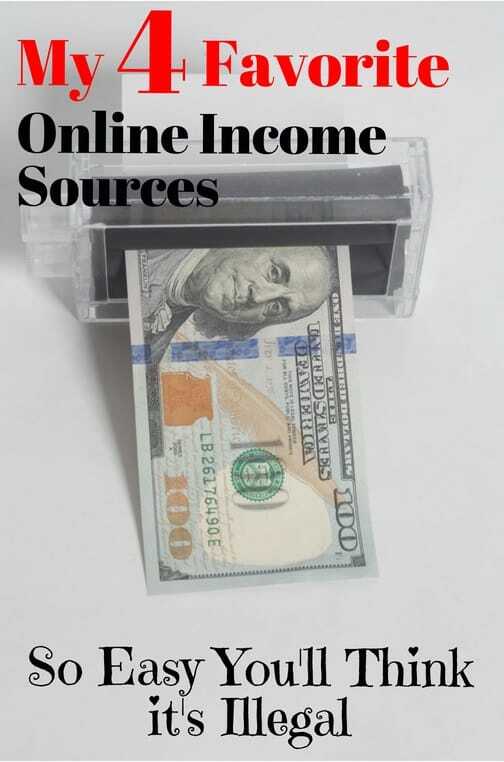 So these are your best online income sources. Notice I didn’t say anything about pay-per-click advertising. That can be a viable source and it’s immediate but it’s just not that much money, not compared to what you can make from these four sources. More than half the bloggers on the survey use advertising on their blogs but they’re only making a third of their income from it, so what does that tell you? There are lots of other great income sources like membership sites and coaching but I’m going to leave those to another post. 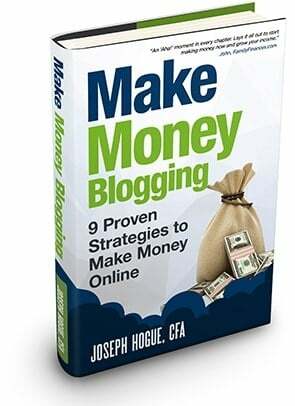 Or you can get a step-by-step into how much money you can make and how to get started in my book Make Money Blogging.